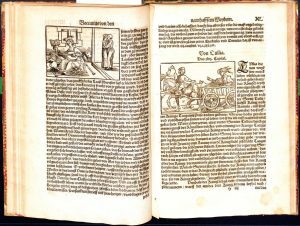 De Claris Mulieribus, or De Mulieribus Claris, translated as ‘Concerning Famous Women’, by Giovanni Boccaccio (1313-1375), is a prime example of one of the treasures contained within the University’s Rare Books Collection. Originally published in 1374, the University acquired a copy in 1903, as part of the George McArthur Bequest. 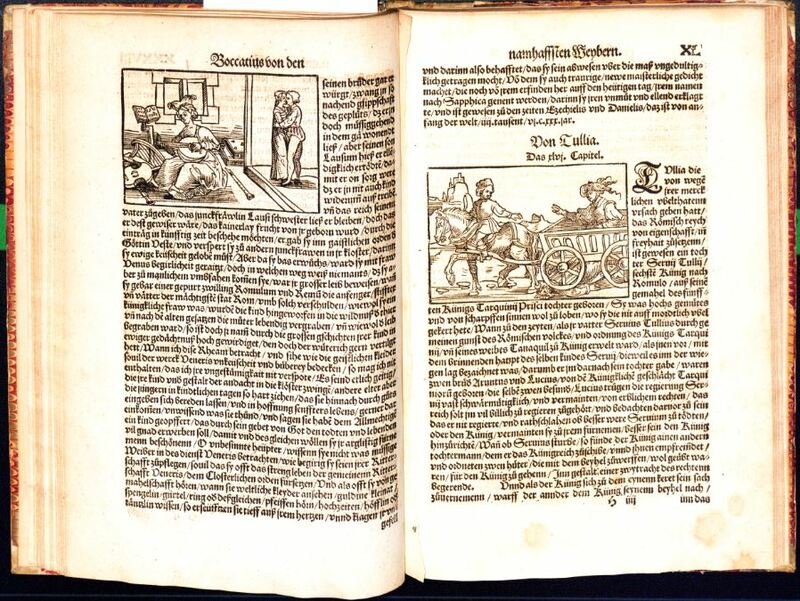 The Rare Books Collection holds a German edition of this text, printed in 1541, which is full of intricate (and occasionally incredibly gruesome) woodcut illustrations of women, courtesy of notable German printer, Heinrich Stayner.. De Claris Mulieribus is a crucial piece in the history of Western literature, and of Renaissance history, being one of the first texts to appear with women as its primary focus. De Claris is comprised of 106 short biographies of ‘famous women’. This work acts as a feminine counter to a similar project undertaken by a compatriot and close friend of Boccaccio’s, Petrarch, whose De Viris Illustribus is a collection of 36 biographies of famous men through history. 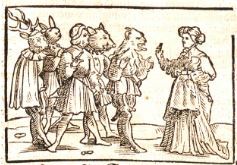 The subjects of Boccaccio’s work are drawn from a number of sources, including religious texts, as is the case with Eve, the first woman to appear in the book; through Greek and Roman myths, where a large number of the subjects including Circe, Medusa and Isis originally appeared; to real life heroines, including Cleopatra, Queen of Egypt, and Sappho, the Greek poet. 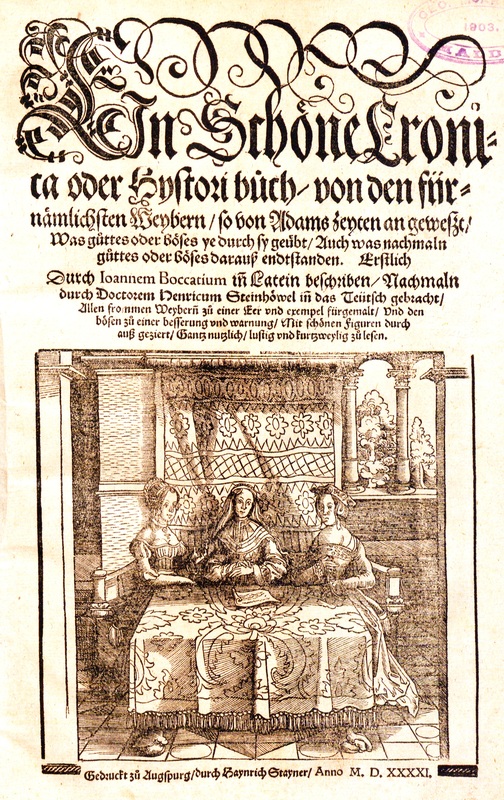 Over the course of its life, the University’s copy of De Claris has been witness to these changing attitudes towards women. As previously mentioned, the text contains a short biography of Sappho, the Greek poet. Sappho is best known for her poems about love and women, and through history, both her character and her writing has been subject to an array of both praise and condemnation. Her poetry, rediscovered in the medieval and later period, led to speculation regarding her sexuality, with critics chastising her for her apparent homosexuality. Perhaps this is why, in the University’s copy, the pages relating to Sappho have been torn out? Not removed carefully, but ripped, leaving a jagged shard of paper behind. It is easy to imagine this page devoted to Sappho, who was adopted during the Modernist period (by Djuna Barnes) as a ‘patron saint of lesbians’, being torn out at some point in the book’s life, during one of the many periods when patriarchal and religious views pertaining to women and homosexuality have erred on the side of condemnation. 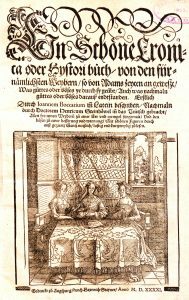 De Claris Mulieribus is an incredibly important work, not only in the history of Western literature, but as an artefact and embodiment of Renaissance thought. This relatively progressive text paved the way for other early works depicting women, such as those by Geoffrey Chaucer (1343-1400) and Christine de Pizan (1364-1430). De Claris stands as a crucial piece in the history of women in literature, and indeed in the history of women and feminism, literally embodying the way attitudes towards women have changed over time. [2 Virginia Brown, On Famous Women, xv-xvi. Reynolds, THE Sappho Companion, 295. 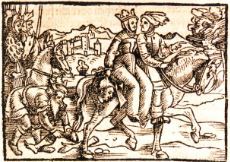 See: Christine di Pizan The Book of the City of Ladies, Geoffrey Chaucer, The Canterbury Tales.